I've told y'all all before how much my husband loves football. It is something that he thoroughly enjoys. That love has passed down to Eli in a big way. Eli is now too old to play in our local rec league and the county we live in doesn't allow homeschoolers to play in the school league. So we are not participating in football this year. 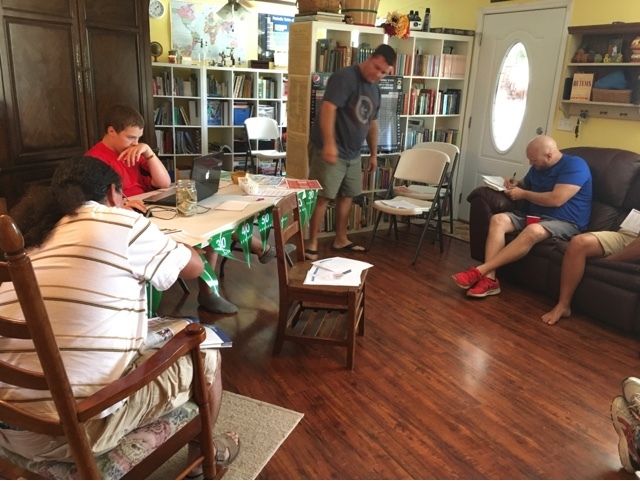 Eli decided that he would like to take over the fantasy football league that he and his dad belonged to several years back. This league has been around for years and years. 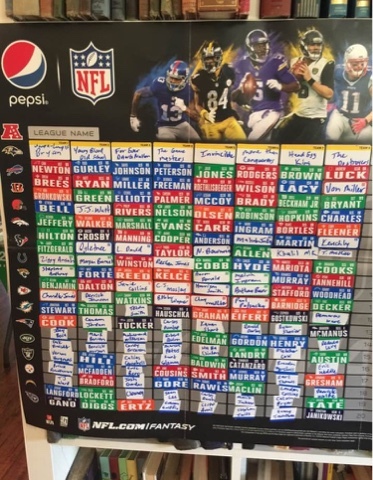 When Shannon and I first married, I joined and because I was a newcomer, I got the first round draft pick and I picked Payton Manning. My sister-in-law and I tied for the win that year. It was a lot of fun. Anyhow, my brother-in-law was the commissioner of the league for MANY years, and when life got too busy for him to keep it going, the league stopped. This year though, in a bold move for a 13 year old... Eli decided to bring it back. Many of the old players and some new were excited to join in. I was really impressed with the thought and preparation he gave to making sure the draft flowed smoothly and the set of league rules he placed and how he set it all up, online. Do I sound like I'm gushing? I guess I am, because I think I have pretty stinkin AWESOME kids. 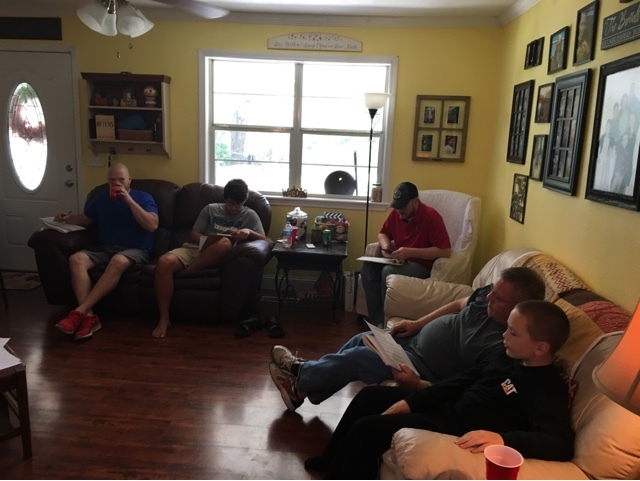 We invited everyone who was able to participate in the draft to our house. I asked him what his request was for the food and he asked for cheese dip. 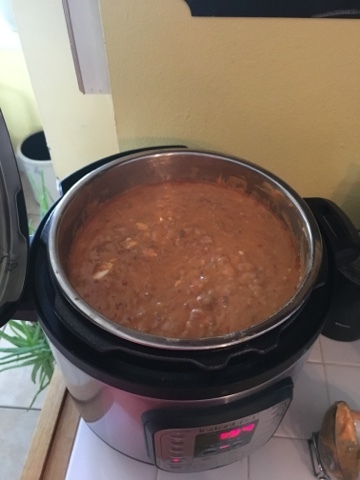 Being the person I am, I made a massive 8 quart instant-pot worth of it. .. No one was allowed to leave hungry. Haha. 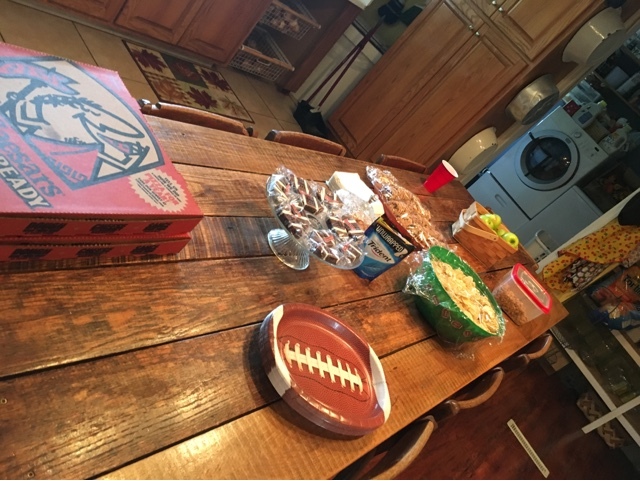 We had football shaped Little Debbies, peanuts, chips, pizza, soda, tea, cookies... they had a big day of fun, food, and football. I want to encourage you to allow your kids to step out and try something on their own. Maybe they want to start a fantasy football league like Eli. Maybe they want a 'game' day once a month where they plan the strategy and have to set up and prepare. Maybe they want to start a book club or have someone from church or one of their parents have a Bible study with them and some friends. Hospitality is always in fashion and teaching your kids to tackle something that may seem a little too big for their britches may actually surprise you when you see just how awesome they handle the responsibility. I know I'm glad that I didn't just think about the hassle and actually stopped and thought about the blessing it would be to him and the ones who spent the day with us a couple of Saturdays back.